First of all, you need to create the Outlook template in HTML. 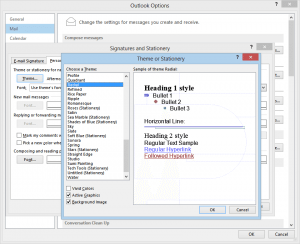 You can do so by using the Outlook email editor (simply create a new message, design its content and make sure its format is set to HTML) or by using any other HTML editor. If you are designing the Outlook template using an external HTML editor, please make sure that all images are linked using absolute URLs. 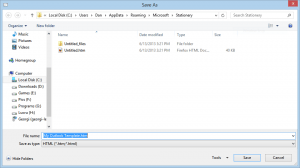 Here is a complete tutorial to create and insert HTML files to Outlook emails. 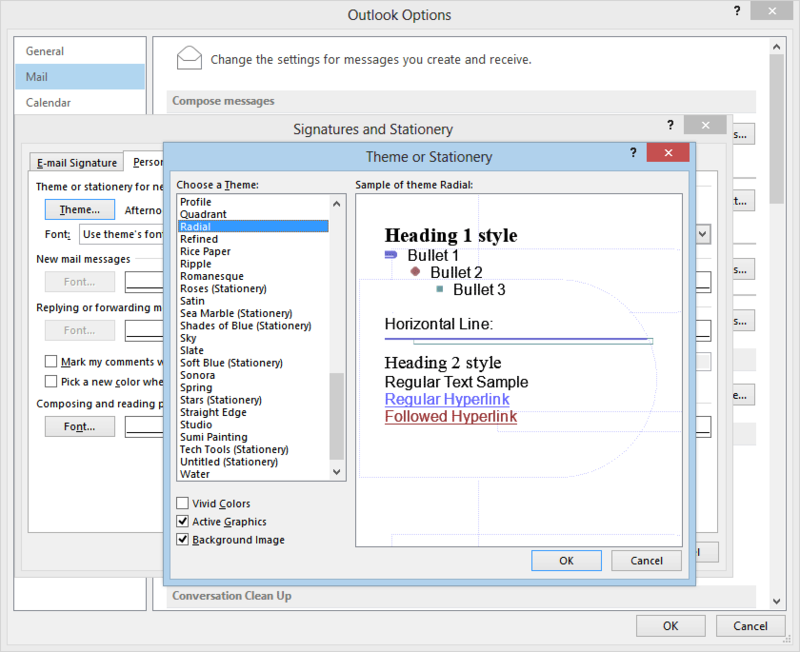 2. if you want to set this template as your default Outlook email theme, go to your Outlook Options menu -> Mail -> look for the “Stationery and Fonts” button: click on it, then select the template that you saved above and click OK to set it as the default email theme. 3. you can now create a new Outlook email and you will see that Outlook will automatically apply your Outlook email template for all emails you are composing. By the way, if you are looking to insert text templates to your Outlook emails, there is always Bells & Whistles for Outlook which can easily do the job for you. I keep getting a message that “Access to this form template file is blocked.” But when I follow the instructions I still don’t see the .oft file listed. Any suggestions? 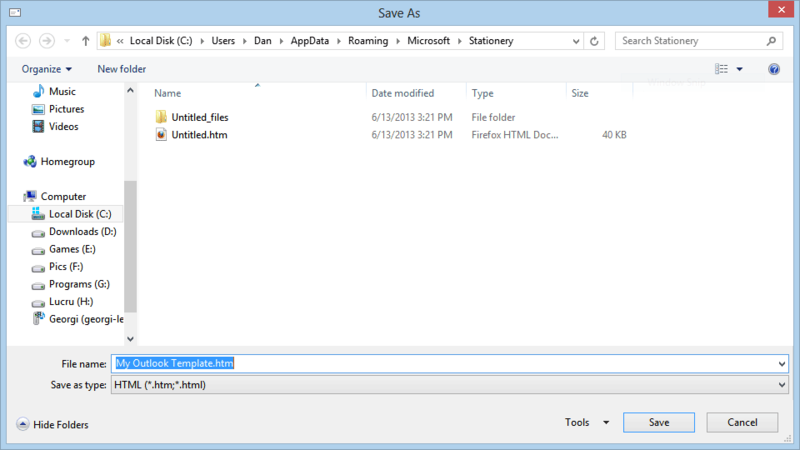 Why is “save as” not available in Microsoft 365?? This all seems so easy, but I can’t get past that basic problem. It’s greyed out.